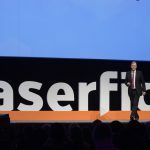 Laserfiche will welcome attendees from around the world to its fourth international value-added reseller (VAR) and user conference April 13 and 14 at the Hilton Beirut Habtoor Grand in Beirut. The Empower Middle East International Conference and Training brings together Laserfiche users, resellers, support staff and product specialists to learn about innovative applications of electronic forms, business process management, integration strategies and enterprise content management (ECM) best practices. 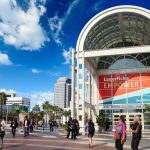 The conference highlights the company’s newest release, Laserfiche 10, which enables organizations to quickly optimize a variety of business processes—including case management, contract management and accounts payable, among others. Most Laserfiche Middle East VARs will participate, including BMB Group from Lebanon who will be hosting the event with Laserfiche International. Visit the Empower Middle East website for a schedule of events and more information.